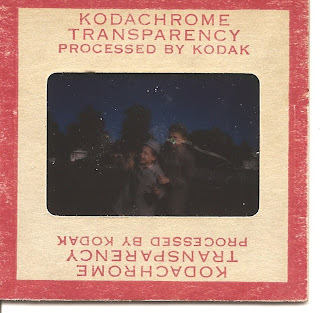 Remember Kodachrome? Not the song- the slides. My Mom and Dad never went anywhere without a Japenese made Canon and shot Kodachrome for slides. 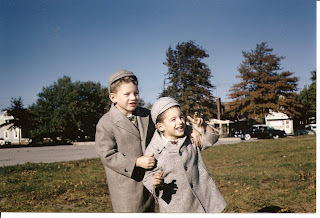 Holidays were never quite complete without a slide show- and the older the slides, the better. The images are reversed- you can see that are coats button opposite of the print version- which is the correct one. The explanation is that the slides were mounted in the frames backwards - but I wanted to show the borders. And thanks to Suzy at Garden Lust Journal for the idea to put this on here.